Included in this week's roundup of interesting finds are inspirational packaging and custom illustration examples from Tutorial9 and Abduzeedo. As well as a collection of Twitter related content from Styl.eti.me, Specky Boy and new startup Just Tweet It. 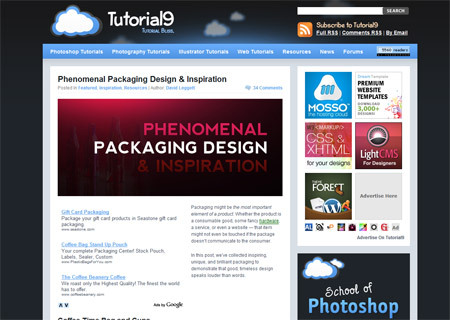 David Leggett from Tutorial9 always has some great Photoshop, Photography, Illustrator and Web Tutorials published on his site. This article in particular showcases an incredible collection of phenomenal packaging design and inspiration, including a range of unique, timeless designs that promote the brand of the product. I'm a big fan of hand drawn illustrations in design. This roundup of customised shoes from Daniela Zatti, an author over at first class design blog Abduzzedo presents a collection of super cool personalised sneakers. Adelle Charles of fuelyourcreativity.com and Dani McDaniel of danimcdaniel.com recently launched Just Tweet It, a directory of Twitter users enabling us to find and be found by people with similar interests. 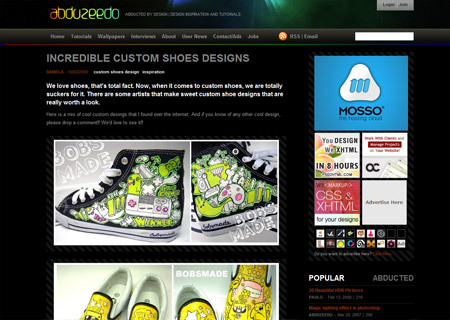 Find me along with a huge collection of other designers in the Graphic Designers and Web Designers categories. 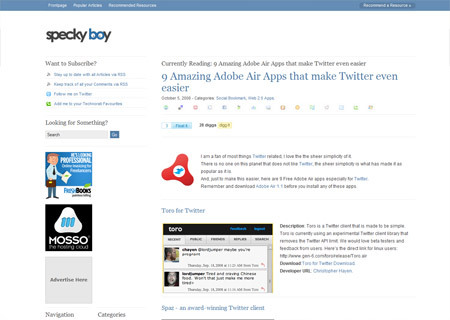 Continuing with the Twitter theme, the Specky Boy blog recently posted a highly useful roundup of amazing Adobe Air applications that make Twitter even easier. 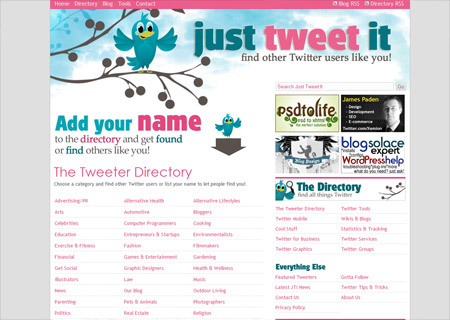 There are a range of programs allowing you to tweet directly from your desktop, this article makes it easy to find out which is best for you. 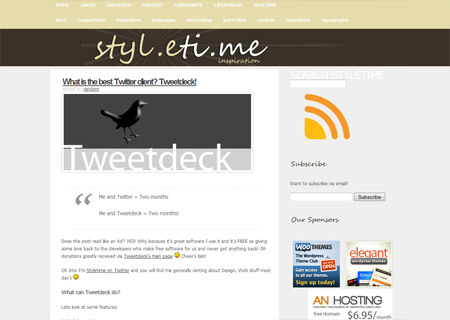 If the high choice of Twitter applications was too much to handle, let Roger from Sty.eti.me explain the features behind popular Twitter application; TweetDeck. With a range of configurable views TweetDeck is one of the most versatile desktop programs for Twitter. Awesome! Thanks so much for including “justtweetit” as part of your weekly faves! que buenos vectors como los puedo comprar? EE redesign ETA 2 weeks!